Soon you’ll be able to enjoy your entire Steam library of games on your mobile device. No that’s not a typo. Well, sorry, it is a typo - Steam will actually be available on mobile devices plus devices running Android TV and your Apple TV. Anything that runs iOS and Android, basically. According to a blog post on Valve's press website, the Steam Link app will support the Steam Controller, MFI controllers like the SteelSeries Nimbus and Gamevice, and more across both platforms. What we’re picturing in our heads is a Steam Link but on your phone and tablet - a game-changing feature for Valve’s Steam platform. Valve also announced an app for Steam Video, which brings the Steam video library with to your Android and iOS devices over Wi-Fi or LTE as well. 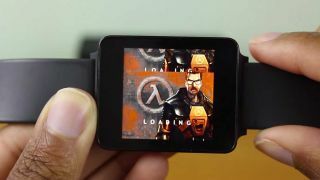 According to a follow-up email from Valve, the Steam Link app is targeting a release date somewhere during the week of May 21, with a public beta available for Android owners at some point in the near future. The news of the two new Steam apps was delivered via a short blog post. Valve didn’t offer much in the way of additional details - but, with the release date for the app so close, Valve would probably rather us wait to test the software for ourselves instead of posting a convoluted explainer that could be subject for misinterpretation. On paper at least, the idea of a mobile Steam Link app is great. It’s the evolution of the Steam Machine idea brought to mobile phones, a device everyone owns. More importantly, it shows that Valve is willing to forgo releasing frivolous hardware if it can instead reach more customers - an approach that many companies might be afraid of taking. Most times, if there’s money to be made on hardware, a company will take it. We’ve yet to use the app for ourselves, but we’ll be sure to post our impressions of the app’s performance when we do.